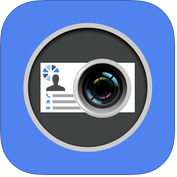 If you want to save your information by scanning cards and sync them with the contact details easily by just taking pictures, you should use business card reader app on your iPhone and iPad. Here we've listed 10 best business card reader apps for iPhone, iPad and other iOS devices. These apps bring amazing convenience in the way you manage and exchange your business cards. There are lot of business card reader apps on Apps Store, but we have listed only the best business card reader apps for iOS devices. 1. 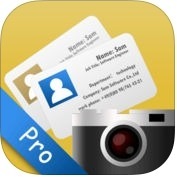 ≡ Business Card Scanner & Contacts Manager Pro ( iPhone + Apple Watch ) :- It is one of the best and fastest business card scanner & contact management app for iPhone and Apple Watch. With the help of this business card scanner app, you can easily and quickly captures & stores contact from business cards in more than 25 languages to your smartphones. Business Cards Scanner & Contacts Manager Pro app has lots of fantastic features such as quick and accurate scanning, auto-click photo feature, easy check of recognized data, automatic normalization of phone and extension numbers, auto-completion of addresses, sync across multiple devices and automatic or manual backups and, much more. 2. Business Card Reader Pro ( iPhone ) :- Business Card Reader Pro is an excellent and advance featured business card reader apps for iPhone. With the help of this business card reader app, you can import contact information from a business card directly to your iOS contacts and, you can export to salesforce as contact, lead or account available as in-app subscription. Business Card Reader has several amazing and unique features such as accurate recognition of business cards with multi-language support, background image processing, saves time when scanning multiple cards, export to Evernote, VCard & .xlsx, optional integration with existing CRM system and more. 3. 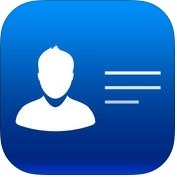 WorldCard Mobile - business card reader & scanner ( iPhone ) :- WorldCard Mobile is one of the fantastic and professional business card reader apps for iPhone. With the help of this business card reader app, you can capture business cards anytime & anywhere with the iPhone's camera, you can view and manage contact info with card holder function, you can exchange contact data via open in mail and iTunes file sharing, your can import or export or backup your data on Mac, Windows quickly and conveniently and, you can also find your contacts on Twitter, Facebook, Linkedin and expand your social & professional networks. WorldCard Mobile app has user-friendly features such as recognition of 25 languages, sort recognized information by name, position, company contact number, fax number, address or other fields, recognize QR code to get more information easily, sync with Google contacts and manage your contacts seamlessly, share or backup your contacts through cloud services and, you can also copy email signatures and add them to your contact lists. 4. 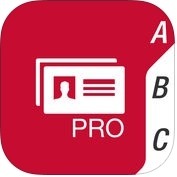 SamCard Pro-card reader&business card scanner&ocr ( iPhone ) :- If you want an excellent visiting card reader with high recognition accuracy and fast business card reader app on your iPhone, you can use SamCard Pro app. 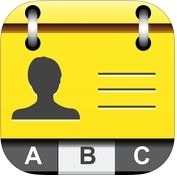 It is automatically recognized your all informations and save them to iPhone contact. SamCard Pro has lots of unique features such as anti-shake photo shooting, auto-detect text orientation, auto-rotate card images, shoot both vertically and horizontally, display the corresponding image when editing business card and, much more. 5. ScanBizCards Business Card Reader ( iPhone + iPad ) :- ScanBizCards Business Card Reader is one of the best and user-friendly business card reader apps for iPhone and iPad. With the help of ScanBizCard app, you can scan cards in one finger tap, you can keep your CRM up-to-date with direct card, you can access to cards from any browser, you can create new contacts or merge scans with existing records, you can scan both sides of card, you can create new contacts with email signatures, you can add notes to each contact, you can search and sort cards with flow 3D view and, you can also forward contacts to colleagues like text, image and VCard. 6. 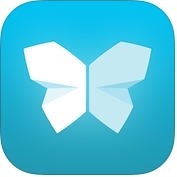 CamCard - Business card scanner & reader ( iPhone ) :- If you want to keep one of the best and the easiest app to manage and exchange business cards on your iPhone, you can use CamCard-Business card scanner & reader app. 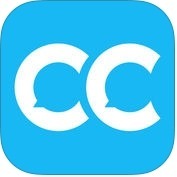 CamCard app has lots of powerful and advance features such as scan and store your business cards, exchange e-cards when running out of paper cards, add notes & reminders to contacts, get contact updates, enrich your profile to tell people more about yourself, navigate to contact address in map, manage contacts from all over the world with 17 recognition languages, access contact information across multiple devices and more. 7. Evernote Scannable ( iPhone + iPad ) :- Evernote Scannable automatically capture high-quality scans quickly and deal with paper professionally. 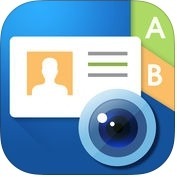 With the help of this business card scanner app, you can point your camera at documents, expense receipts or whiteboards, you can send documents to colleagues through email, text or export them as PDF and JPG files to Evernote and other apps, you can turn business cards into contacts and, you can also save or share documents instantly and move on. 8. 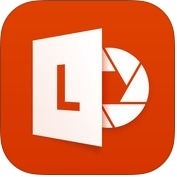 Office Lens ( iPhone + iPad ) :- If you want to trims, enhances and makes images of whiteboards and documents readable, you can use Office Lens app on your iPhone and iPad. With the help of Office Lens app, you can trims and cleans up glare & shadow and colors images perfectly and, you can convert images to word, powerpoint or PDF files, that are automatically saved to OneDrive. Office Lens has several fantastic features such as business card mode can extract contact information and save it into your address book and OneNote, supports more languages, pictures can be saved to OneNote, OneDrive or other cloud storage and, much more. 9. CardKeeper - Business Card Scanner and Reader App ( iPhone ) :- It is one of the best and advance featured business card scanner & reader, and storage apps for iPhone. With the help of CardKeeper app, you can manage your entire business card collection, you can send your cards to other CardKeeper users through Airdrop, you can quickly scan and add business cards and, you can also easily add the captured information to iPhone's address book. 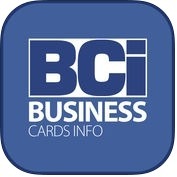 10. Business Cards Info (BCi) ( iPhone ) :- Business Cards Info is interactive, powerful and user-interface business card reader app. 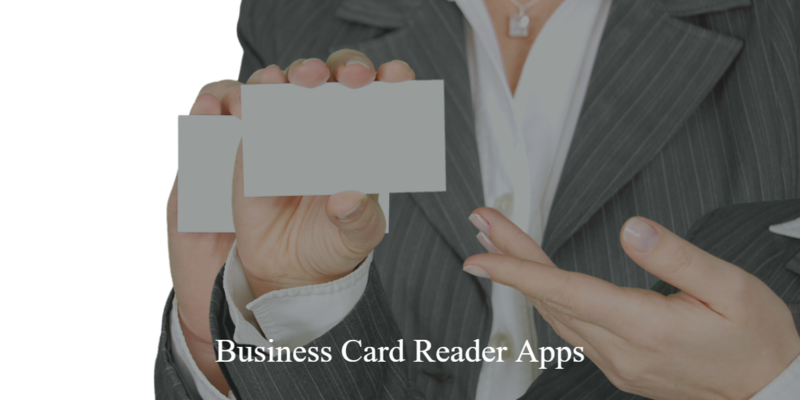 With the help of this business cards reader app, you can introduce your business anywhere in the world, you can keep your devices updated with latest data, you can search, sort, group, merge easily, you can save your all business cards and, you can also accurately reads all your cards instantly.